The following post is a much revised version of an opinion piece published a few days ago in Al Jazeera English. It reflect a continuing effort to capture the diverse mood that now prevails in Turkey. Was Gezi Park in Istanbul such a happening, as many here in Turkey hope? Did it reflect the wishful thinking of those among the protesters who were seeking a genuinely inclusive democracy in Turkey respectful not only of the environment and cultural identity, but dedicated to the rights of all, especially such habitually abused minorities as Kurds and Alevis? Professor Asli Bali, a highly regarded young law scholar teaching at UCLA, persuasively encapsulated the core of the struggle as an epic encounter between two models of democracy– the majoritarian entitlement claims of Erdogan (but not necessarily all elements in the AKP) versus the participatory and populist ethos of the younger generation, which is almost as opposed to the republican (anti-democratic) ethos of the secular elders who were mainly aligned with the recently inept and anachronistic CHP as it is to Erdogan’s leadership of the AKP. Bali pins her own best hopes for the political future of Turkey not on an anti-AKP challenge being mounted by an opposition party, but rather on a split within the AKP that will transfer control from Erdogan to the more inclusive moderate wing, which I presume would be led by the current president of Turkey, Abdullah Gul. This is a most unusual way to conceptualize the best political alternative for Turkey, and it underscores a situation in which a change in the leadership of the country would be beneficial, but cannot be seen as issuing from either the present arrangements of governmental authority or as a result of a successful challenge mounted by the organized opposition. The idea of a split within the AKP that produces a more moderate and inclusive leadership is an attractive option for three reasons. First, it validates the positive contributions of AKP governance over the past eleven years, while rejecting the style and some of the majoritarian implications of Erdogan’s leadership. Secondly, it implicitly rejects the prospect of an electoral transfer of governmental authority to the traditional opposition represented by the old Kemalist party, the CHP, as a result of elections, which despite its strong presence in Gezi Square and in the protests throughout the country, was viewed by the core protesters as politically antagonistic to a reshaping the political future of Turkey through redefining an understanding of democracy. In this regard, the republican/CHP conception of democracy so long as the party held the reins of government in its hands was intolerant toward the religiously observant, as well as repressive toward the Kurdish regions of the country. Thirdly, strong doubts are present as to whether the Gedi protests, with neither party, program, agenda, nor leaders, strong anarchist elements could grow into an inclusive movement along the lines of what Derrida calls ‘democracy to come,’ an aspirational vision of the future that embraces a liberating conception of freedom that far transcends any historical embodiment of ‘democracy,’ anywhere up to this point. If the past teaches us anything, it suggests that such revolutionary impulses, no matter how intense, will quickly dissipate or implode, either because they become institutionalized in stultifying bureaucracies, engage in torrent of revolutionary terror, losing their revolutionary identity authenticity, or they don’t institutionalize and purge enemies from within and without, and simply fade away. Of course, for reasons suggested at the outset, history is cunning, and may not mimic the past. There is, to be sure, some peculiar features present in the litany of opposition complaints. For instance, there are frequent allegations that anti-government criticism of Erdogan and the AKP is absent from the media due to intimidation. It is true that Turkish TV seemed at first to ignore embarrassingly the events in Gezi Park while international TV was covering the unfolding protest in real time. Yet the true situation in Turkey, as I have experienced it, is one of widespread and harsh criticism of Erdogan from many angles, in this regard not the slightest evidence of media intimidation or alleged self-censorship, and a greatly exaggerated contention here and abroad that the voices of censure have been silenced by imprisonment. Posting an otherwise illuminating article online, Michael Ferguson, finishing a PhD in history and classics at McGill, writes this incredible phrase, while commenting on the media’s failure to mention of a controversial assertion: “..not surprisingly, however, given the Turkish media’s unwillingness to criticize Erdogan.” I have been reading numerous opinion pieces attacking Erdogan in the Turkish press during the past two weeks, and so I cannot imagine what prompts such an assertion. True, there are many journalists imprisoned, to be sure, but apparently less for their critical views than for their supposed involvement in anti-government, unlawful activities. These charges should be investigated without any further delays, and those being held either tried or released, but that is a different matter than contending that Erdogan is being treated as a hothouse flower by the Turkish media, which is manifestly untrue. Before offering some comments on the three cases, it seems helpful to clarify what is meant by ‘polarization.’ There are several features, varying with context, grievances, goals, outlook, and unity of the opposition, as well as the response of those in control of the government, the economy, and sometimes the military, but there are also certain shared characteristics that encourage generalizations: On discourse: in a polarized polity the opposition seldom reasons and never listens, while those governing rarely hear what critics say and almost never engage in serious self-scrutiny; reasonableness is seen by both sides more often as a lack of conviction and principle rather than as an expression of respect and inclusiveness: moderation is out, polemics are in. On governance: both sides are generally inhibited from offering compromises and accommodations for fear of seeming weak, and thereby alienating their base of support. On tactics: the opposition seeks instability and dissatisfaction, and if possible a climate of opinion that demands change either by constitutional means or by a populist uprising that makes the country ungovernable; the government, in contrast, obtains law and order by whatever means are at its disposal, often provoking worse opposition by employing excessive force. The mildest instance of infernal polarization is currently evident in the United States, although it may be the most consequential, given America’s global projection of hard power and its world leadership role. Increasingly, the domestic political atmosphere is beset by a polarizing opposition that rejects reasonableness in its preoccupation with inducing the elected leadership to fail and thus disappoint the electorate even if the result is overall decline for the society, especially its poorest 40-60%. The Tea Party mentality of opposition to the Obama presidency is mainly expressed by way of polarizing rhetoric and irresponsible Congressional behavior, but its worldview is extremist, and regards with a scary sympathy right-wing advocates of anti-democratic and even violent tactics. In the background is the post-9/11 mainstream moves to monitor the behavior of the entire citizenry, regarding each person, whether citizen or not, as a potential terrorist, and possibly a target for assassination. On the one side of the divide is a rejection of compassionate governance and an unconditional libertarian distrust of government, while on the other side is the expectation that citizens will forfeit their freedoms to the Orwellian security claims of a government engaged in a perpetual war against its enemies who could be hiding in the bushes situated anywhere in the world including within its borders, or even deep in the bowels of its most secretive bureaucratic domains. by Morsi, the opposition was not interested. The composition of this opposition is also a restored blend of Mubarak fulools, disenchanted secular liberals and , and a reenergized revolutionary youth, which is quite a political brew that would seems an expedient coalition that is likely to survive only so long as the Brotherhood runs the country. If the Egyptian situation is not bad enough, there are a variety of foreign governments that would like to push the political process in one direction or another, including the Gulf giants of Saudi Arabia and Qatar, and of course, the United States and Israel. For different reasons, it would seem that all these foreign meddlers would if the situation further deteriorates, will side with the opposition, which certainly had feeble democratic credentials, and is suspected, as with the Kemalist opposition in Turkey, of looking with favor at a takeover of the reins of government by the repoliticized Egyptian military. Infernal polarization is unlikely to give rise to efficient and humane forms of democratization, unless transformed from within by a creative dialectic that seeks to transcend traditional political encounters. As the future unfolds it will become clearer as to whether this positive scenario has sufficient traction to both end polarization and offer something new by way of democratic governance. At present, there are few reasons to be hopeful about these prospects for the United States, Turkey, and Egypt. In some respects, Turkey offers the most hope of the three cases as its governing leadership has achieved much that is beneficial for the society, and the polarized opposition seems capable of exerting strong reformist pressures that yet fall short of threatening to capsize the ship of state. Prefatory Note: I am posting a press release of yesterday, 14 June 2013, to take note of the start of the seventh year of the Israeli blockade. After the Mavi Marmara incident, 31 May 2010 and the more recent November ceasefire agreement between Israel and the Gaza government there was an undertaking to ease the blockade with respect to the flow back and forth of people and goods, but the situation remains desperate for the civilian population of Gaza that remains essentially locked into the Gaza Strip where economic destitution has reached epidemic extremes and where the water is mostly unfit for human consumption. The international community, and its main leaders, have commented adversely on the blockade, but nothing happens! It is this sense of powerlessness that is undermining the legitimacy and relevance of the United Nations to the suffering of the Palestinian people, and with particular relevance to the extreme ordeal of the civilian population of Gaza. GENEVA, 14 June 2013 – The United Nations Special Rapporteur on the situation of human rights in the Palestinian territories occupied by Israel since 1967, Richard Falk, called today on Israel to end its blockade over the Gaza Strip, six years after it was tightened following the Hamas takeover in June 2007. The human suffering of the land, sea and air blockade imposed on the 1.75 million Palestinians living in one of the most densely populated and impoverished areas of the world has been devastating. “Six years of Israel’s calculated strangulation of the Gaza Strip has stunted the economy and has kept most Gazans in a state of perpetual poverty and aid dependency,” said the UN expert. “Whether it is fishermen unable to go beyond six nautical miles from the shore, farmers unable to access their land near the Israeli fence, businessmen suffering from severe restrictions on the export of goods, students denied access to education in the West Bank, or patients in need of urgent medical attention refused access to Palestinian hospitals in the West Bank, the destructive designs of blockade have been felt by every single household in Gaza. It is especially felt by Palestinian families separated by the blockade,” he added. “The people of Gaza have endured the unendurable and suffered what is insufferable for six years. 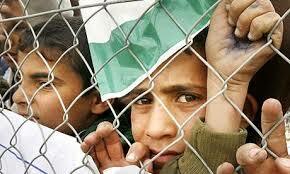 Israel’s collective punishment of the civilian population in Gaza must end today,” said the Special Rapporteur. “Israel has the responsibility as the Occupying Power to protect the civilian population. But instead of allowing a healthy people and economy to flourish, Israeli authorities have sealed off the Gaza Strip. According to statistics released by the Israeli Ministry of Defense, last month’s exports out of Gaza consisted of 49 truckloads of empty boxes, three truckloads of spices, one truckload of cut flowers, and one truckload of furniture,” he said. In 2012, the total number of truckloads of exports leaving Gaza was 254, compared to 9,787 in 2005 before the tightening of the blockade. “It does not take an economist to figure out that such a trickle of goods out of Gaza is not the basis of a viable economy,” noted the UN expert. “The easing of the blockade announced by Israel in June 2010 after its deadly assault on the flotilla of ships carrying aid to the besieged population resulted only in an increase in consumer goods entering Gaza, and has not improved living conditions for most Gazans. Since 2007, the productive capacity of Gaza has dwindled with 80 percent of factories in Gaza now closed or operating at half capacity or less due to the loss of export markets and prohibitively high operating costs as a result of the blockade. 34 percent of Gaza’s workforce is unemployed including up to half the youth population, 44 percent of Gazans are food insecure, 80 percent of Gazans are aid recipients,” he said. “Last year, the United Nations forecast that under existing conditions, Gaza would be uninhabitable by 2020. Less optimistic forecasts presented to me were that the Gaza Strip may no longer be viable only three years from now,” said the Special Rapporteur. “It’s clear that the Israeli authorities set out six years ago to devitalize the Gazan population and economy,” he said, referring to a study undertaken by the Israeli Ministry of Defense in early 2008 detailing the minimum number of calories Palestinians in Gaza need to consume on a daily basis to avoid malnutrition. The myriad of restrictions imposed by Israel do not permit civilians in Gaza to develop to their full potential, and enjoy and exercise fully their human rights. In the present report, while noting the continuing non-cooperation of Israel, the Special Rapporteur addresses Israel’s Operation “Pillar of Defense” and the general human rights situation in the Gaza Strip, as well as the expansion of Israeli settlements – and businesses that profit from Israeli settlements and the situation of Palestinians detained by Israel. Once again it is necessary to highlight the failure of the Government of Israel to cooperate in the implementation of this mandate even to the extent of allowing the Special Rapporteur to enter occupied Palestine. Such entry is required to gain first-hand information about alleged human rights and international humanitarian violations by the Occupying Power, and appropriate cooperation by Member States in such official undertakings is prescribed in Articles 104 and 105(2) of the Charter. It is further specified in the 1946 Convention on the Privileges and Immunities of the United Nations, especially relevant is Article VI, Section 22, “Experts on Missions for the United Nations.” To enable mandate holders to carry out their assignments in accordance with best practices, it would be important for the Human Rights Council to insist that Member States of the United Nations live up to these obligations. The Special Rapporteur wishes to raise another concern regarding the independence, credibility, and effectiveness of this mandate. Ever since the Special Rapporteur assumed this position, “UN Watch” – a “pro-Israel” lobbying organization accredited as an NGO to the UN ECOSOC, has issued a series of defamatory attacks demeaning his character, repeatedly distorting his views on potentially inflammatory issues. This smear campaign has been carried out in numerous settings, including at the Human Rights Council, as well as university venues where the Special Rapporteur gives lectures in his personal capacity on subjects unrelated to the mandate. The lobby groups’ smears have been sent to diplomats and United Nations officials, including the Secretary-General, who has apparently accepted the allegations at face value, issuing public criticism of the Special Rapporteur. It is disappointing that such irresponsible and dishonest attacks have been taken seriously, with no effort to seek the views of the Special Rapporteur or otherwise verify the accuracy of the allegations. To set the record straight, the Special Rapporteur proposes that UN Watch be investigated to determine whether it qualifies as an independent organization that operates in accord with its name and stated objectives, and is not indirectly sponsored by the Government of Israel and/or other “pro-Israel” lobbying groups affiliated with the Government, as well as whether its programme of work is of direct relevance to the aims and purposes of the United Nations. Even a superficial review of their website confirms their preoccupation with character assassination, and the absence of an organizational agenda that corresponds to its claim to exercise oversight over United Nations activities. It is notable that despite its efforts to discredit the Special Rapporteur, UN Watch has never offered substantive criticisms or entered into any serious discussion of the Special Rapporteur’s reports. Such defamation of a special rapporteur is detrimental to the independence and substantive intention of any mandate. It diverts attention from the message to the messenger, and thus shifts public interest away from the need to protect human rights in contexts that have been identified by the Human Rights Council as of particular concern. The Special Rapporteur recommends that this issue be viewed in relation not only to his mandate, but also as a matter of principle relating to ensuring a responsible role for NGOs within the United Nations system. In like manner, it seems important to encourage a greater willingness on the part of senior United Nations officials to defend special rapporteurs who are subject to such diversionary attacks, or at the least, not to be complicit. To fulfil the mandate to the extent possible under the circumstances above-mentioned, the Special Rapporteur completed a mission to the occupied Gaza Strip from 1 to 3 December 2012. The mission intended to investigate issues pertaining to the economic and social rights of civilians in Gaza, which have received considerable attention given the comprehensive Israeli blockade that has existed since mid-2007 and continues to preclude economic viability by prohibiting almost all forms of export, thereby continuing to impose unacceptable hardships on the civilian population as a whole. The mission also investigated the effects of a major military attack by Israel, code named Operation “Pillar of Defense,” which occurred from 14 to 21 November 2012. There are several general developments that have occurred since the submission of the last report to the Human Rights Council that seem relevant to the mandate. Perhaps the most significant development occurred on 29 November 2012, when the General Assembly voted to recognize Palestine as a non-member observer state, a status that is a step on the path to the realization of the collective and inalienable right of self-determination that belongs to the Palestinian people as a whole. IHL, as contained in the Fourth Geneva Convention of 1949 and Additional Protocol I: useful for identifying violations associated with behaviour of the Occupying Power toward the civilian population of the Occupied Territory: including construction of settlements, collective punishments, targeted assassinations, diversion of water, excessive force, conditions of detention and imprisonment. There is an additional deficiency here arising from the failure of Parties to the Geneva Conventions to uphold the duty set forth in common Article 1 “to respect and to ensure respect for the present Convention in all circumstances.” If a pattern of persistent violation is present and sustained for a period of years, as with Israel’s occupation of Palestine, then steps should be taken to encourage compliance. Such a collective responsibility by all Contracting Parties to “repress grave breaches” is made clearer in Protocol I, Articles 86 and 91, a treaty that has the status of customary international law. Oslo Framework: allocation of administrative and governmental responsibilities to Areas A (Palestinian), B (joint Palestinian-Israeli), and C (Israeli) that creates a different legal regime, especially given the different standards of protection and access to law accorded to Israeli settlers and Palestinians living within in the West Bank. The Oslo process, with its five-year timeline for the resolution of final status issues, constituted a humane acknowledgement that a belligerent occupation of a society must be ended. United Nations and European Union reports indicate that the Palestinian presence in Area C (which covers 61% of the land but only 4% of the Palestinian population), is under constant pressure, and even threat of elimination. It is estimated that 350,000 Jewish settlers in about 200 settlements and outposts are living in Area C, having appropriated the preferred land, situated mainly on high ground, making use of disproportionate amounts of water exploited from local aquifers at the expense of the Palestinian population. In other words, the Oslo formula has facilitated additional encroachments on Palestinian territory that have the appearance of permanence and violate the Fourth Geneva Convention’s obligation on the Occupier to refrain from altering the nature of the occupied country or appropriating its resources. Prolonged Occupation: there is no presently applicable international legal framework that captures the extent to which the interests and wellbeing of the civilian population are severely jeopardized, perhaps irreversibly, if the occupation lasts longer than five years. Israel’s occupation of Palestine has lasted 46 years, a period that causes serious mental disorders associated with living for decades without the protection of laws and rights and with stifling restrictions on mobility and travel. Israel’s occupation shows no signs of ending. The prolonged state of exception and the normalisation of occupation have nurtured a climate where the cumulative impact of large numbers of settlers and settlements, which the Human Rights Council’s fact-finding mission on Israeli settlements aptly described as “creeping annexation”, and the unlawful Israeli annexation and demographic manipulations in East Jerusalem have created fundamental threats to the Palestinian right of self-determination. It is the judgment of this Special Rapporteur that such issues bear directly on upholding the right of self-determination, and represent a flaw or insufficiency in the conventional conceptions of IHL and international human rights. This flaw or inadequacy should be addressed by either the International Committee of the Red Cross by convening an international conference to draft a convention for Occupations that surpass five years, or the manifold issues related to prolonged occupation be examined by a commission of inquiry composed of relevant international law experts. It has been widely accepted in commentary on the Israel/Palestine conflict that the only path to a sustainable and just peace, as well as the fulfilment of the Palestinian right of self-determination, is through direct negotiations. Strong efforts have been made in the last several months both by the concerned Governments, by the United States as the principal intermediary and by the renewing the Arab Peace Initiative of 2002, to revive negotiations. This Arab Peace Initiative has been modified to allow for ‘land swaps,’ which appears to be a means of incorporating major settlement blocs into Israel and opening the door to territorial adjustments in response to Israel’s security interests. The Special Rapporteur is sceptical of the value of direct negotiations at this time, especially in relation to the protection of the human rights of Palestinians, above all their right of self-determination. The political preconditions for effective negotiations do not seem to exist on either side: for Israel, a pro-settler Government with a seeming expansionist vision of the territorial scope of Israel and annexationist policies in the West Bank, including East Jerusalem, does not seem inclined to withdraw to 1967 lines or to address such other issues as the division of Jerusalem, the rights of Palestinian refugees, the non-diversion of water from Palestine’s aquifers, and the sovereign equality of a Palestinian state. Israel justified “Pillar of Defense” as a defensive response to Gaza rocket fire. The United States along with several European countries supported this claim. The U.S. Department of State expressed this sentiment when the attacks started: “We support Israel’s right to defend itself and we encourage Israel to continue to take every effort to avoid civilian casualties”. Supporters of Palestine regarded Israel’s concerted use of force against urbanized and vulnerable Gaza as ‘aggression’ and ‘criminal.’ Israeli military analysts argued that the strategic purpose of Pillar of Defense was to restore deterrence in light of the deterioration of recent increases in violence emanating from Gaza and to destroy the capacity of Gaza’s military forces to launch long-range rockets able to reach the major centers of population in Israel. Both sides claimed victory when the Egyptian-brokered ceasefire agreement came into effect on 21 November 2012. Clearly, both sides had made adjustments in light of the experience of Cast Lead. The Israeli side avoided a ground attack that had turned the tide of public opinion against its operation in 2009, and took some steps to avoid large civilian casualties. On the Gazan side, casualties to police and militants were greatly reduced by avoiding targeted facilities and taking secure shelter, and damage to rocket launchers was reduced by greater mobility and use of underground launching sites. The terms of the ceasefire lend support to the claim of the de-facto authorities in Gaza that Israel had given ground: agreeing not to engage in future targeted assassinations, and to meet to discuss the opening of the crossing points to goods and persons. The implementation of the ceasefire agreement is discussed later. 10. The Special Rapporteur’s mission had been conceived to obtain information about the situation in the Gaza Strip in light of the United Nations study that suggested that Gaza’s viability would be at serious risk by 2020. The Special Rapporteur did not abandon that goal, but added concerns regarding Pillar of Defense, since the ceasefire had gone into effect ten days before the Special Rapporteur’s arrival. Several aspects of the attacks raised serious issues of IHL bearing on the use of excessive force in relation to a population living under conditions of occupation. Although Israel implemented its plan of ‘disengagement’ in 2005, it did not end its legal responsibilities as the Occupying Power. This conclusion reflects Israel’s control of entry and exit to Gaza from land, sea, and air; frequent violent incursions; and a blockade maintained since mid-2007. The situation in Gaza has been likened to a large open air prison in which the inmates control the interior while the guards control the perimeter. 11. The Special Rapporteur’s mission consisted of three activities: visits to targeted areas and meetings with families affected adversely by Pillar of Defense; briefings with United Nations officials and with national and international representatives of NGOs active in Gaza; and meetings with local journalists, doctors, and individuals knowledgeable about the policies, practices and discussions among the senior level of the de facto authorities. It was an intense yet illuminating means to acquire a direct appreciation of the overall human rights situation in Gaza. 12. It is difficult to summarize the meetings with family members affected by the attacks. The Special Rapporteur visited the Ismail Mohamed Abu Tabiekh Aslan neighbourhood of Gaza City, which is situated close to the border with Israel and experienced heavy artillery and missile attacks. Some residents reported that drones were used to attack. The Special Rapporteur met with adult residents, mainly men, who spoke movingly of how the attacks damaged the modest infrastructure (especially electricity and water storage) of this extremely poor neighbourhood and killed their animals, which were crucial to their meagre livelihood. They also spoke of their shared sense of vulnerability during the attacks, with no facilities available to offer protection. Strong psychological impacts were widely reported, especially affecting young children who were experiencing nightmares, bedwetting, and panic attacks. There were physical effects resulting from damage to residences in a setting where unemployment was widespread and there were insufficient resources to repair damage even if materials were available. Several interlocutors reported that they had worked in Israel until 2001, but subsequently were unemployed and became dependent on international aid. 13. The Special Rapporteur visited the destroyed residence of the Al Dalou family, which lost ten family members, including four young children during the attack. Jamel Mahmoud Yassin Al Dalou, the surviving grandfather to the four dead children, described himself as a trader in foodstuffs who lived with his family in the Nasser neighbourhood and enjoyed better living conditions than most Gazans. Mr. Al Dalou said that during the November attacks “every one of us was a target…the sky was full of Israeli planes and drones, everything that moved could be hit.” “I left to go to my business by taxi to bring needed food to the family, while there people came to me crying and told me my house had been hit, the worst news I received in my life. I rushed home to find many working to remove the rubble of the destroyed house.” Finding the deaths of his children and grandchildren, Mr. Al Dalou commented, “If they cannot deal with Islamic militants, should they attack children? We have no problem if Israelis attack militants, but this was a great injustice. I lost my family. I am sleeping on the street. Only my son and I survived. This is one of the worst crimes. Where is the international court to prosecute the perpetrators? They destroy our houses, take our land, and destroy our women and children. To whom can I complain?” This man’s voice represented the pain and grief encountered throughout the visit: “I keep asking Allah to help me be patient, to deal with this injustice and tragedy, to punish the perpetrators of these crimes, and to have their mothers and fathers suffer as I am suffering now.” This was the same essential story told by other victims and survivors of the attacks with whom the Special Rapporteur spoke. From an IHL perspective, what seems striking is that several of the damaged structures were situated in clearly demarcated residential districts. There is a new yardstick by which to assess responsibility for military strikes on civilian targets. On the one side, the bombing and missile technology has become much more accurate, allowing for less accidental or collateral damage. At the same time, this increased accuracy creates a presumption that direct hits on civilian residences are deliberate, and thus exhibit criminal intention. In certain instances, there may have been someone living in a residential building who was acknowledged as a militant or serving in the government, but such a presence does not justify targeting an entire residential or apartment complex. In such circumstances, the collateral damage to civilians far outweighs the direct damage inflicted on legally acceptable targets. The Special Rapporteur was informed by several Gazans that rockets were neither stored nor fired from residential districts, but were stored underground and launched from open spaces. Such information was confirmed in the briefing received from the United Nations security specialist. 14. The Special Rapporteur was briefed by United Nations officials and civil society representatives who had observed and investigated compliance with human rights and international humanitarian law during Pillar of Defense. The concerns noted above were affirmed and our attention was called to other important issues. Israel’s intentional targeting of journalists covering Pillar of Defense was highlighted as a concern that needs to be addressed by the international community, especially those who advocate for press freedoms. The view was repeatedly expressed that Israel’s attacks constitute a part of its continuous collective punishment of Palestinians. In this respect complaints regarding Israeli impunity for such actions, including the lack of will of the international community to firmly address Israeli impunity, were frequent. One representative insisted that “justice required accountability of Israelis and upholding rights of Palestinians.” The Special Rapporteur was informed that Israeli attacks had shifted from being restricted to specific targets in the first four days of Pillar of Defense, which appeared to avoid serious civilian casualties and damage, to later attacks on civilian and agricultural targets as well as reliance on less accurate forms of weaponry, particularly shelling by naval and land artillery. It was also noted that a neglected humanitarian impact of the attacks was to create more than 60,000 internally displaced persons, who had no refuge after leaving their places of residence. It was suggested that because there does not appear to be a willingness to have an international inquiry into the violations during the attacks, it places a burden of responsibility on human rights NGOs. There was widespread agreement that the possibility of peace depended on ending the blockade and shifting commerce from the tunnels to the crossings, with Israel being blamed for its lack of clarity in relation to the definition and breadth of the ARAs. The Special Rapporteur was left with the strong impression that the ceasefire agreement, even if were to be fully implemented, was a stopgap measure, and that more fundamental changes needed to be taken to allow Gaza to focus its energies on long-term viability. 15. The Special Rapporteur met with several representatives of Gaza’s fishermen, including Nizar Ayaash, Head of the Fishermen’s Association, and Mohammed El Asi, Head of Tawfeq Association. There are about 3,700 professional fishermen in Gaza who supply food for approximately 50,000 Gazans. The fishing industry has been hard hit by Israeli restrictions and interference with fishing operations. Fishing had been restricted to three nautical miles, which limits productive activity severely, as most edible fish live near rocks that are mostly situated between 12 and 20 nautical miles from shore. To catch fish nearer to shore requires special equipment that few of the Gaza fishing boats possess, such as drag nets to catch bottom fish. The Pillar of Defense attacks appeared to target buildings on shore belonging to the Fishermen’s Association, and did extensive damage to the structures, as well as destroyed or damaged 85 fishing vessels. The Special Rapporteur was informed that there were high hopes that restrictions would be eased after the ceasefire, and to some extent this happened. There was a green light to fish the coastal zone up to six nautical miles, although Israeli gunboats were accused of often harassing fishing activities, firing at the boats, arresting fishermen, excluding their boats from the enlarged zone, and even shelling boats for no reason. Incidents reported included the confiscation of and arrest of those on board a boat belonging to one of the individuals at our meeting that had taken place only a couple of days earlier, coupled with attacks on fishing vessels the previous day. No reason was given for such arrests, and although these fishermen were released, it produced considerable anxiety and resentment and often fishermen are unable to recover critical and expensive equipment, such as motor engines for their boats or even the boats themselves. It is difficult for most Gazan fishermen to earn enough to sustain a minimum standard of living for his family. Many have given up fishing. The Special Rapporteur was also told that the buildings attacked were never used to store weapons, and that this had been confirmed by both the International Committee of the Red Cross and international media. It is evident that under conditions of blockade, the difficulties of providing the population with ample, healthy food have grown and been compounded by budgetary constraints that limit UNRWA’s capability to overcome the shortfall. To allow Gazans to take full advantage of their fishing resources would seem to be a primary obligation of the Occupying Power. 16. The mission met with Palestinian women who had either been prisoners themselves or had close relatives in prison. One was the internationally known Palestinian, Hana Shalabi, who had been released from an Israeli prison in the October 2011 Shalit exchange and then re-arrested in an abusive manner at her family home. Ms. Shalabi had not been accused of a crime, but held under administrative detention, which is inconsistent with IHL requirements of prompt charges and trial in the event of detention. Upon re-arrest Ms. Shalabi started a hunger strike that put her at grave risk of death. Israeli authorities agreed to her release, but with the proviso that she would be deported to Gaza, which is away from her family and habitual place of residence. Such a deportation is clearly punitive, and is disturbingly insensitive to Ms. Shalabi’s needs for family and medical support after her experience. The Special Rapporteur recorded other accounts of prison conditions confronting Palestinians: reliance on solitary confinement, denial of family visits, punishment of hunger striking prisoners, punishment for purely political activity, inadequate medical facilities and treatment. The Special Rapporteur also heard complaints about difficulties of accessing United Nations officials to express grievances, summed up by one comment: “When you live this experience it is completely different from talking about it.” The situation of Palestinian prisoners in discussed in detail further below. B. Economic and social conditions 17. Several meetings were held with United Nations officials and NGO representatives and experts that were relevant to an assessment of social and economic conditions. Field visits were undertaken to examine some of the difficulties with water and sewage facilities, as well as to view damage inflicted by Pillar of Defense. The mission met with the Deputy Director of UNRWA in Gaza, who imparted some key information. His general conclusions are important: (1) UNRWA is “vastly underfunded” to give needed services, especially food, to that portion of the Gazan population that is dependent on aid; (2) the character of dependence is so acute as to qualify as an of ‘emergency’; (3) the Israeli blockade is responsible for this crisis of dependency, with 10% of Gazans being aid dependent prior to the blockade in 2007, while current the percentage has risen to an astounding 70%; (4) the struggle to restore housing destroyed during Cast Lead was expected to be completed in 2013, but that goal is un-achievable given the $20 million of damage done during Pillar of Defense; (5) the water situation is desperate, with 90% of Gaza’s aquifer “unfit for human consumption,’ and Israel diverting a disproportionate share of the coastal aquifer. UNRWA indicated that resumptions of violence worsen this extremely bad economic and social situation. It was emphasized that allowing exports would “do wonders” to restore economic viability. Another concrete step would be for Israel to allow Palestinian agricultural activity nearer to the buffer zone that Israel establishes for security reasons on the Gaza side of the border. The insufficiency of electricity availability and the contaminated nature of the water supply are among the most serious challenges. It was reported that the tunnel network makes the population rely on black markets for many consumer goods, a dynamic that was declared to strengthen Hamas, which gains large revenue by taxing tunnel traffic, and to weaken the Palestinian Authority, which obtains revenue from products that enter or leave Gaza through the crossings. To improve longer term prospects in Gaza several steps are essential: (1) lifting the blockade is necessary if the economy is to be normalized, which would still require 5-10 years of unimpeded effort; (2) financing the construction of a major desalination facility, possibly via the International Monetary Fund; (3) shifting agricultural production to less water intensive crops; (4) installing solar networks for heat and electricity; (5) improving sewage treatment to avoid further pollution of the Mediterranean Sea. 18. The mission met with members of the WASH Cluster and received detailed briefings. There was stress on the urgent need for supporting self-sufficiency and enhanced water quality. The scarcity and supply issues were reportedly aggravated by Israel having cut Gaza off from West Bank aquifers, which appears to violate the arrangements concerning allocation of water in the Oslo II agreements. Israel is implementing an approach that treats Gaza as an entirely independent entity, while from a Palestinian perspective it would be preferable to treat the West Bank and Gaza as one, especially for water policy. Israel currently diverts 92% of aquifers for its own use, and this deprives Gaza of the most efficient way to satisfy its water needs. Given this situation, the practical option for Gaza is a major investment in desalination capabilities, although there were suspicions that Israel is seeking to sell its desalination technology to Gaza. Without desalination and water purification initiatives, the public health hazard of contaminated water is likely to prove catastrophic for Gaza. 95% of water in Gaza is unsafe for human use. It was alleged that Israel allows Gaza to invest in its own program of infrastructural improvements, and then bombs the improvements achieved. The extent of Israel’s responsibilities as Occupying Power with respect to such matters as water and electricity, which are essential aspects of protecting the civilian population, is paramount. It was recommended that desalination and sewage facilities be regarded as improper targets in the event of Israeli attacks. It was claimed that past targeting of such facilities has discouraged foreign donors from reinvesting, and that difficulties encountered in importing spare parts posed an obstacle to maintenance works. There was an emphasis on the need for greater electricity to pump water, enabling more efficient use of Gaza’s food-producing potential. There were also reports of wasted water due to faulty treatment facilities, increased salinity in ground water, and administrative problems with foreign funding due to the split in control between formal recognition by Israel of the Palestinian Authority as still controlling Gaza and the de facto status of the authorities. 19. Fundamental to the viability of Gaza is the question of food security, both as a present and future challenge. The Special Rapporteur was made aware of the range of problems. The Gaza Strip is 321 square miles, and the latest population estimate is 1.75 million residents, making it one of the most densely populated and impoverished territories in the world. These underlying conditions have been aggravated by Israel’s maintenance of a security buffer zone on the Gaza side of the border that deprives Palestinian farmers of 34% of available agricultural land. Periodic Israeli incursions have destroyed wells and farm animals, and have made it hazardous to work the land. Pillar of Defense inflicted considerable damage on agricultural structures and animal shelters throughout Gaza. The Special Rapporteur was informed that agriculture seemed to have been particularly targeted. To have any hope of achieving long-term viability, the agricultural sector depends on an end to the blockade; improved access to seeds; better irrigation; secure access to the land; a reduced and demarcated buffer zone; and the renewal of exports of key products in viable quantities. Long term projections that assume continued population growth and improving living conditions, including less dependence on international donors, are uniformly pessimistic about the future of Gaza, especially if it continues to be cut off from the West Bank and the outside world. 20. The gravity of the situation has been dramatized recently by confrontations between Gazans and UNRWA as a result of food shortfalls. The UN projection of the collapse of Gaza as a viable entity for the current population by 2020 was confirmed by NGO representatives, who even suggested that such a projection was optimistic, especially in relation to water quality and availability, and that 2016 was more realistic. Present conditions are threatening to unleash a health epidemic. There are reports of widespread mental difficulties being experienced by virtually the entire juvenile population. UNRWA felt that it would be only possible to improve the overall situation in Gaza if its annual budget were increased by $200 million to $300 million, which seems unlikely at present. The NGO Action Against Hunger noted that any prospect for agricultural sufficiency and livelihood capacity will depend on Gaza reclaiming at least 50% of the coastal aquifer. C. Health in Gaza 21. The Special Rapporteur met with health experts associated with World Health Organization, UNICEF and the Gaza Community Mental Health Programme. They presented a grim picture of the health situation in Gaza. One unexpected finding was their shared assessment that the health effects of Pillar of Defense were more severe than those that followed from Cast Lead, despite lower casualties. An increased perception of deliberately targeting neighbourhoods and agricultural settings, more fear arising from recollections of past violence, and greater sensitivity to extreme vulnerability were cited. Mental health experts mentioned the extent to which each major violent incursion in Gaza destroys whatever progress had been achieved in recent years causes a net depressive mood and reality summarized by the word often encountered in such briefings: ‘de-development’. 22. As far as medical care there were reports of an increase in referrals for treatment in Israel and Egypt (for instance, 8,000 in 2007 as compared to 16,000 in 2011) for persons suffering from cancer and cardiac conditions, as well as other diseases that could not be treated in Gaza. This increase in referrals was explained as partly caused by the deterioration of medical equipment in Gaza, the inability to import spare parts, and the failure to invest in advanced medical facilities. Despite these shortcomings, health specialists did report that there was some improvement in the overall medical situation following the Mavi Marmara incident in 2010, when it became easier to receive travel permits (95% of requests were approved, although often with harmful delays) and to import certain medical equipment. The Special Rapporteur received reports of tragic deaths caused by delays in issuance or denial of travel permits for those needing urgent treatment. Other problems identified included the unavailability of 30% of essential medicines and pharmaceutical supplies that had to be shipped from the West Bank, 192 drugs were out of stock. 23. During Pillar of Defense, public health facilities were severely strained and the population came to depend on NGO assistance, amidst reports of a high incidence of physical and mental injuries. The Gaza Community Mental Health Programme emphasized the degree to which the impact of the siege and wartime violence on the mental wellbeing of the civilian population has been both adverse and cumulative. They spoke of the high level of stress observed in most Gazans, with secondary symptoms of despair, hopelessness, and powerlessness, and somatic complaints that originate with acute stress such as high blood pressure among children. Health workers in Gaza often sense that there is a need to prepare Gazans psychologically for the next cycle of violence. Under such circumstances there occur signs of a loss of the will to live. Such pessimistic assessments were inconsistent with accounts that emphasized the high morale of the civilian population, despite the stress, as evidenced by the refusal to leave even when opportunities to do so emerge. There were suggestions that the stress and economic challenges of sustaining livelihoods seemed connected with a rise in domestic violence, post-traumatic stress, and indications that for children older than seven there were reactivated haunting memories of the horrors experienced during Cast Lead. It was stressed that medical experts are themselves survivors of trauma-inducing situations who require counselling. While people in Gaza suffering from physical ailments seek help, those with mental difficulties tend not to, being culturally inhibited from acknowledging mental problems. Even taking this into account, it was reported that there exists a 70-80% treatment gap between those who need help but do not receive it because of shortages in the health system. Added to this is the serious health concern relating to disease associated with contaminated water and inadequate nutrition that has led to widespread stunting in children. These impressions were elaborated upon in a meeting with the psychiatrist, Dr. Eyad El-Serraj, who confirmed the observations made by other health specialists and emphasized a variety of issues that were aggravating the situation, including refusals by Israeli hospitals to accept patients from Gaza who were unable to pay the exorbitant costs of treatment. He recommended creation of a private patients’ fund that could be drawn upon for medical treatment outside of Gaza. D. Ceasefire implementation 24. The ceasefire agreement between the de-facto authorities in Gaza and Israel embodied an understanding that, beyond an immediate cessation of hostilities, Israel would refrain from incursions and targeted assassinations in Gaza and would also allow the movement of people and goods at the crossings. Despite the various interpretations of this broader sense of the ceasefire understanding, with some Israelis contending that it was only an agreement to discuss, there was a general expectation, at least among Palestinians, that Israel would loosen the stranglehold it has held over the civilian population and make life more tolerable. Both sides have largely refrained from resuming hostilities, but several developments suggest that Israel has not adhered to the spirit of the ceasefire agreement. There are few signs of a loosening of the blockade and in recent weeks, targeted assassinations of suspected militants and incursions by the IDF into Gaza have resumed. The excessive use of force by the Israeli security forces in the enforcement of the Access Restricted Areas (ARAs) continues with disturbing regularity. Several setbacks over the past weeks and months are highlighted hereunder. 25. The Special Rapporteur is disturbed by excessive use of force in the enforcement of ARAs on land and at sea as well as military incursions with bulldozers into Gaza. The Special Rapporteur is also concerned by punitive measures taken by Israel, such as rescinding the fishing zone and closing border crossings, which amount to the collective punishment of the civilian population. 26. On 22 February, the IDF reportedly fired live ammunition toward a group of Palestinians enjoying a picnic approximately 400 metres from the border fence, resulting in three Palestinians injured. On 9 and 19 February, a total of six fishermen were arrested in separate incidents less than six nautical miles off the coast. In both incidents, the fishermen released the same day, but their boats were confiscated. On 18 and 21 February, a total of four fishermen were shot and injured by Israel, three nautical miles from shore. Two were shot by rubber bullets, while the remaining two, including one minor, were injured by shrapnel from live bullets. 27. Allegedly in response to a rocket fired on 26 February by the Al-Aqsa Martyrs Brigades, which caused no casualties, Israel closed the Kerem Shalom crossing and tightened restrictions in the ARAs on land and at sea. Israel also adopted severe measures to enforce the ARAs, including live-fire shooting without warning, leaving civilians, including farmers, seriously injured. Four Palestinians have been killed and 106 injured by Israel in the ARA since the ceasefire. Israeli Naval Forces increased their attacks on Palestinian fishermen within six nautical miles by using rubber and live bullets, at times without advance warning, despite the ceasefire agreement which expanded the fishing zone from three to six nautical miles, resulting in injuries to fishermen. IDF tanks and bulldozers have also made numerous incursions over the past months into Gaza to undertaken levelling and excavations. 28. On 21 March, Israel again reduced the maritime area along the coast, shrinking it three nautical miles. Fishermen aiming to fish in areas up to six nautical miles were ordered by Israel through megaphone to return to within three nautical miles. On 23 and 24 March, Israeli naval forces opened fire toward Palestinian boats located at 1.5 nautical miles from the coast. 29. The Special Rapporteur is concerned about Israel’s periodic closure of the Kerem Shalom crossing as a retaliatory measure to tighten the stranglehold of Gaza. Kerem Shalom is the crossing point for goods and approximately 40% of the goods coming through are food and other basic supplies, including cooking gas. Its prolonged closure leads to shortages of basic items and higher prices of commodities. After 21 March, Israel closed the Kerem Shalom crossing, bringing the movement of goods to a halt for the second time after the earlier closure from 27 February to 3 March. Restrictions were also imposed at the Erez crossing, limiting movement to humanitarian cases holding permits. The Israeli authorities re-opened Kerem Shalom crossing for a day on 28 March, after having closed it for seven successive days. Crossings at Erez and Kerem Shalom resumed again, subject to pre-21 March restrictions, on 2 April. 30. The Special Rapporteur expresses concern about the human rights and humanitarian consequences of breaches of the ceasefire agreement. While the continued illegal blockade of Gaza by the occupying power and its failure to uphold its responsibilities to ensure the protection of civilians remain of utmost concern, the Special Rapporteur is alarmed by what appears to be the use of collective punishment upon the entire civilian population of Gaza by Israel. 31. The ceasefire agreement will continue to be tested. Nevertheless, the Special Rapporteur is mindful that the continued blockade of Gaza, of which the restricted fishing zone is only one component, remains of primary concern to the residents of Gaza. The Israeli stranglehold is such that Gaza’s monthly exports consist of a few truckloads of cut flowers, date bars, cherry tomatoes and spices. Israel’s blockade is stunting the potential for economic development in the Gaza Strip. III. Palestinian detainees in Israeli prisons and detention centres 32. The Special Rapporteur continues to be disturbed by reports concerning the treatment of thousands of Palestinians who are detained or imprisoned by Israel. As of the submission of this report, the Government of Israel had in custody around 4,800 Palestinians. The Special Rapporteur deeply regrets that Israel continues to ignore problems, which he and other United Nations human rights bodies have repeatedly enumerated in official reports, related to the detention of Palestinians. The results are Israeli violations on a massive scale. While the Special Rapporteur highlights hereunder cases and issues of concern within the reporting period, the following policies and practices remain serious, on-going concerns: detention without charges and other forms of arbitrary detention, such as Israel’s abusive mis-use of administrative detention; torture and other forms of ill, inhumane and humiliating treatment; coerced confessions; solitary confinement, including of children; denial of equality of arms; denial of visits by family members and the International Committee of the Red Cross; denial of access to legal representation; unacceptable conditions in prisons and detention centres; lack of access to required health care, at times amounting to medical neglect; and denial of access to education, including for children. These concerns are punctuated by Israel’s flagrant disregard of article 76 of the Fourth Geneva Convention. 33. Israel’s treatment of Palestinian children in detention continues to alarm. Many of the Special Rapporteur’s concerns in this respect were raised in his report to the General Assembly in September 2011. A February 2013 UNICEF report reminds the international community that Israel’s treatment of Palestinian children routinely violates the Convention on the Rights of the Child and the Convention against Torture and Other Cruel, Inhuman or Degrading Treatment or Punishment. It concludes that “in no other country are children systematically tried by juvenile military courts that, by definition, fall short of providing the necessary guarantees to ensure respect for their rights.” UNICEF’s report further concludes that “the ill-treatment of [Palestinian] children who come in contact with the [Israeli] military detention system appears to be widespread, systematic and institutionalized throughout the process, from the moment of arrest until the child’s prosecution and eventual conviction and sentencing.” In a clarifying indication of the extent of the problems, UNICEF notes that its conclusions are based, among other things, on ten years of consistent allegations. Another clarifying indication of the extent of the problems comes by way of one of UNICEF’s recommendations: “Israeli authorities should give immediate consideration to establishing an independent investigation into the reports of ill-treatment of children in the military detention system, in accordance with the 2002 recommendations made by the United Nations Special Rapporteur on the situation of human rights on [sic] Palestinian territories occupied since 1967.” Over ten years of serious violations against Palestinian children remain to be answered for by Israel. It is telling to contrast the treatment that Israel metes out to Palestinian children with the treatment it affords Israeli children, including settlers in Palestine. This contrast is one way of comprehending the grossly discriminatory nature of Israel’s occupation. 34. The death of Palestinian Arafat Jaradat on 23 February 2013, while in an Israeli facility, constitutes another criminal mark on Israel’s detention regime. While no cause of death was formally recorded, the Palestinian Authority’s chief medical examiner, Saber Aloul, observed the autopsy and reported clear indications of ill-treatment and torture on the body of the previously healthy 30-year-old. In particular, Dr. Aloul reported that Mr. Jaradat’s death was caused by nervous shock resulting from severe pain, which was due to injuries inflicted through direct and extreme torture. Dr. Aloul found that Mr. Jaradat displayed severe bruising on his upper back, deep bruising along the spine, and significant bruising on both sides of the chest. The autopsy uncovered bruising on both of his arms and inside his mouth, blood around his nose and three fractured ribs. The death of a prisoner during interrogation is always a cause for concern. Israel remains firmly committed to impunity for its officials who interrogate Palestinians. This is evidenced by a study carried out by B’Tselem, which determined that, between 2001 and 2011, over 700 complaints of abuse by Israeli security agents interrogating Palestinians resulted in not one criminal investigation. In this context, there is a clear need for an outside, credible investigation to clarify the circumstances that led to Mr. Jaradat’s death. 35. On 2 April 2013 another Palestinian died while imprisoned by Israel. By all accounts Maysara Abu Hamdiyeh died from cancer. Still, the Special Rapporteur has received credible allegations regarding inadequate health care that may amount to medical neglect. Such allegations include a four-month delay in sending Mr. Abu Hamdiyeh to a hospital, providing him with the wrong medication, and then transferring him to an eye doctor when he was suffering from throat pain and had swollen lymph and salivary glands. The Special Rapporteur was informed that Israel had denied Ms. Abu Hamdiyeh’s sons visitation rights for eleven years, and did not release him even when it was confirmed that his cancer was terminal. Mr. Abu Hamdiyeh died chained to a bed in a prison, without the presence of – or even any chance to say goodbye to –his family. Mr. Abu Hamdiyeh’s death in these circumstances should be considered in the context of years of reports of lack of access to health care and medical neglect suffered by Palestinians detained by Israel. According to information provided to the Special Rapporteur, there have been at least 54 cases of clear medical neglect that have resulted in the deaths of Palestinians in Israeli prisons. 36. The sense of hopelessness grinded into Palestinian prisoners by Israel has caused many to launch hunger strikes. Especially over the past year, prisoners have undertaken hunger strikes to protest their treatment and conditions of their detention, especially at Israel’s frequent mis-use of long-term detention without charges. At the time of finalizing this report, seven Palestinians were on hunger strikes: Samer Al-Barq; Samer Al-Issawi; Younis Al-Hroub; Muhammad Ahmad An-Najjar; Zakariyah Al-Heeh; Ibrahim Al-Sheikh Khalil; and Hazem Al-Tawil. Each was protesting against being detained indefinitely without charges. Samer Al-Issawi had been on a hunger strike for an extraordinarily long period and was in danger of death. According to media reports, Israel was offering to release him on the condition that he would be forcibly deported to another country. Such a deportation would likely violate article 49 of the Fourth Geneva Convention, which prohibits the forced transfer or deportation of protected persons from occupied territories. This was, nonetheless, the treatment given to Ayman Sharawna, who ended his nearly seven month hunger strike in mid-March in return for deportation to Gaza for 10 years. 37. It is interesting to note that Messrs. Sharawna and Al-Issawi had been released from Israeli detention on 18 October 2011, in connection with the deal between Israel and Hamas that resulted in the release of Israeli soldier Gilad Shalit. It should be of concern to Israelis, Palestinians and international actors that the Government of Israel appears increasingly willing to break the terms of that deal. While 1,027 Palestinian prisoners were released in exchange for one Israeli soldier, Israeli authorities have since re-arrested at least 15 of the Palestinians who were released. Twelve remained imprisoned at the time of finishing this report. To the Special Rapporteur’s knowledge, none of those who were imprisoned were subject to any criminal or other charges. Similarly, Israel has demonstrated its readiness to disregard the 14 May 2012 agreement reached with representatives of Palestinian prisoners that ended the hunger strike in which at least 1,000 Palestinians participated. According to that agreement, in return for ending the hunger strike, Israel would remove prisoners from solitary confinement; allow family visits; limit the use of administrative detention; and make efforts to improve general conditions. All reports indicate that Israel has backtracked on each element. Yet Israel’s unacceptable disregard of these commitments is part and parcel of its prolonged occupation of Palestine. Israel’s detention regime, in particular, seems designed to disrupt Palestinian society, producing an atmosphere of arbitrariness, instability and powerlessness. The Special Rapporteur reminds the international community that over 750,000 Palestinians have been detained by Israel since the occupation began in June 1967 – equaling around 20 per cent of the Palestinian population. IV. Settlements 38. The Special Rapporteur continues to be concerned by Israel’s consistent and systematic expansion of settlements through subsidies, expropriations, house demolitions and demolition orders, granting permits for homes in settlements and intensifying the exploitation of Palestinian natural resources. In the first quarter of 2013, Israel demolished 204 Palestinian homes and structures, displacing 379 Palestinians. 39. The report of the Human Rights Council’s fact-finding mission to investigate the implications of the Israeli settlements reconfirmed that “the State of Israel has had full control of the settlements in the Occupied Palestinian Territory since 1967 and continues to promote and sustain them through infrastructure and security measures”. It concluded that “The establishment of the settlements in the West Bank, including East Jerusalem, is a mesh of construction and infrastructure leading to a creeping annexation that prevents the establishment of a contiguous and viable Palestinian State and undermines the right of the Palestinian people to self-determination”. The process of “creeping annexation” that is slowly redrawing the contours of the West Bank contrasts with Israel’s purported annexation of East Jerusalem, but both are clearly violations of the Fourth Geneva Convention. 40. A lready in July 1979, twelve years after the first illegal Israeli settlement of Kefar Ezyon was established in the West Bank, the report of the Security Council’s Commission established under resolution 446 to examine the situation relating to settlements in the Arab territories occupied since 1967, including Jerusalem, arrived at similar findings, namely that “… the pattern of that settlement policy […] is causing profound and irreversible changes of a geographical and demographic nature in those territories, including Jerusalem.”, and that “… in the implementation of its policy of settlements, Israel has resorted to methods – often coercive and sometimes more subtle – which included the control of water resources, the seizure of private properties, the destruction of houses and the banishment of persons, and has shown disregard for basic human rights, including in particular the right of the refugees to return to their homeland”. Among its recommendations, the Commission stated that “as a first step, Israel should be called upon to cease on an urgent basis the establishment, construction and planning of settlements in the occupied territories. The question of the existing settlements would then have to be resolved”. 41. Almost 34 years later, and following another international fact-finding mission, Israel continues to flout, with total impunity, international humanitarian law, including the obligation as specified in Article 49(6) of the Fourth Geneva Convention not to transfer its population into the occupied territory. Israel’s commitment to the settlement enterprise was succinctly expressed decades ago by former Prime Minister Ariel Sharon, when he stated, as Minister of Defense:“In my opinion what determines our fate for many generations to come are the Jewish settlements. Without underestimating the importance of war and military combat in the defense of our country, I think that in establishing settlements in the Galilee, in the Negev, in the Golan Heights, in Judea and Samaria, in the Jordan Valley and in the Gaza Strip I had the privilege as the chairman of the Settlement Affairs Ministers Committee and as the Defense Minister to decide about the establishing 230 settlements all over Israel, more than 60 of which in the Galilee. To me, the settlements are the most important thing”. 42. It is telling of Israel’s policy and intentions with regard to settlements that following the General Assembly accorded Palestine the status of non-member observer state at the United Nations on 29 November 2012, Prime Minister Netanyahu authorized 3,000 new units in settlements. Israel’s population registry indicates that the number of settlers in the West Bank, including East Jerusalem, grew by 4.5 per cent in 2012 to an estimated total of 650,000 settlers. 43. In the course of Israel’s unrelenting settlement expansion, a total of 6,676 residential units were approved in 2012, including 3,500 residential units intended for the controversial “E-1” corridor between East Jerusalem and Maale Adumim. In its March 2013 report to the Ad Hoc Liaison Committee, the Government of Palestine explained that, “Construction in the Bab Ash-Shams/“E1” area […], would complete the Israeli wedge of settlements that stretches from occupied East Jerusalem down to the Dead Sea, thus separating the northern from the southern West Bank, and destroying all hope for a free, sovereign and viable State of Palestine”. 44. In East Jerusalem, settlers continue their efforts to expand, including through forced evictions in the Old City, Silwan, Sheikh Jarrah, At-Tur, Wadi Joz, Ras al-Amud, and Jabal Al Mukabbir. According to figures collected by the United Nations Office for the Coordination of Humanitarian Affairs, 299 Palestinians were displaced in the West Bank, including East Jerusalem this year in January and February, compared with 879 Palestinians displaced throughout 2012. 45. The case of the Shamasneh family, in Sheikh Jarrah since 1964, but now subject to eviction proceedings against them by the General Custodian and Israeli Jewish landowners, is symptomatic of a wider trend. Although some Palestinian families in Sheikh Jarrah come under the provisions of the Protected Tenants Act 1972, the Shamasneh family reportedly are not eligible for protection as they did not have a written rent agreement with the Palestinian who sub-leased the property to them between 1964 and 1967. A ruling on the case by the Israeli High Court is expected on 20 May 2013. 46. In another case of forcible displacement of Palestinians, the Israeli Municipality and the Ministry of Transport are undertaking construction in Beit Safafa to complete a highway to serve the expansion of settlements in and around the southern part of East Jerusalem, and to expedite the annexation of Gush Etzion. As usual, Palestinian residents were not consulted during the planning process and will not benefit from the highway, which will cut across the centre of Beit Safafa. Instead, once the highway is completed, the residents of Beit Safafa will find themselves in a fragmented community with further loss of freedom of movement and access to essential services. Residents will lose the ability to use and develop property in proximity to the highway, and its value will fall, violating their collective right to develop the community. The Special Rapporteur will closely follow the appeal by residents of Beit Safafa for an immediate stop order in the Israeli High Court scheduled on 26 June 2013. 47. Settler violence continues unabated and affects Palestinians, including children living in communities located close to illegal settlements, on a daily basis. 146 cases of settler-related violence resulting in Palestinian casualties or property damage have been reported this year. Incidents of settler violence range from physical assaults against Palestinians, including shooting live-firearms and stone-throwing, to vandalism against schools, mosques and private property. Hundreds of olive trees and other agricultural assets owned by Palestinians have already been damaged this year. Beyond the intended effect of intimidating and harming Palestinians, a worrying aspect of this violence has been the almost non-existent efforts of the IDF to protect Palestinians or to investigate settler abuses. All too often, as repeatedly captured on video, Israeli forces arrive at the scene of violence instigated by Israeli settlers, standby as passive witnesses, or worse – respond by firing tear gas canisters and rubber-coated metal bullets at the Palestinians. If recently proposed new legislation to give settlers broader discretion to open fire and to allow more permissive rules of engagement, introduced by Naftali Bennett, head of the Jewish Home Party and cabinet member is adopted, it will imbue settlers with a greater sense of impunity. 48. At the time of finalizing this report, Israel’s newly-formed coalition shows no sign of breaking with Israel’s policy of disregard for international law. The Housing Minister, Uri Ariel, just before President Barack Obama’s visit to Israel and Palestine, declared on television that “building will continue in accordance with what the government’s policy has been thus far”. The Special Rapporteur believes that without Israel demonstrating good faith compliance with the Geneva Conventions with respect to settlements, the political preconditions for peace negotiations do not exist. V. Businesses that profit from Israeli settlements 49. The Special Rapporteur’s report to the General Assembly in October 2012 focused attention on business enterprises that profit from Israeli settlements. A central part of the report was the highlighting of a selection of businesses that have engaged in profit-making operations in relation to Israeli settlements. The Special Rapporteur noted his commitment to seeking clarification from these businesses and, in this respect, wishes to briefly mention the responses received from these businesses. Additional recent developments in relation to businesses that profit from Israeli settlements are discussed thereafter. 50. Of the 13 businesses highlighted in the last report, responses were received from six: Assa Abloy; Cemex; Dexia; G4S; Motorola; and Volvo. No reply was received from Ahava; Caterpillar; Elbit Systems; Hewlett-Packard; Mehadrin; The Riwal Holding Group; or Veolia Environment. It is disappointing that the latter six businesses decided that it was not necessary to respond to allegations of serious human rights and international humanitarian law abuses and violations. Yet it is especially disappointing in the cases of Hewlett-Packard and Veolia Environment, as each has signed on to the United Nations Global Compact, which implies the good faith commitment to adhere to the guidelines for corporate behaviour. 51. Volvo’s response clarified that Merkavim no longer produces buses that transport prisoners from Palestine to Israel. This is useful information. However, Volvo repeated its argument that, while “it is regrettable and sad if our products are used for destructive purposes…we have no means to ultimately control how and where our products are used.” The Special Rapporteur notes that this line of argument has been adopted by other companies and intends to examine its adequacy against applicable international laws, standards and commitments in a future report. 52. Motorola’s response informed that “As a well-respected and responsible corporate citizen, our global activities are conducted in accordance with U.S., local, country and other applicable laws, as well as our own code of business conduct. Our company has a comprehensive set of policies and procedures that address human rights that are designed to ensure that our operations worldwide are conducted with the highest standards of integrity.” It is regrettable that this reply does not respond to the allegations, which were that Motorola provides surveillance and communications systems that constitute integral parts of the infrastructure of Israeli settlements and checkpoints along the wall, and that such systems facilitate the implementation of improper restrictions on Palestinians’ freedom of movement within their own territory. It would be of particular interest to know how Motorola’s due diligence policy takes account of such allegations, when Motorola considers additional sales to the State of Israel. 53. The Special Rapporteur received somewhat positive responses from Assa Abloy, Dexia, G4S and Cemex. Assa Abloy clarified that its Mul-T-Locks factory was moved from Barkan, Palestine, to Yavne, Israel in 2011. The Dexia response clarified that the relevant entity is Dexia Israel Limited (formerly Otszar Hashilton Hamekomi), and that Dexia Israel Limited, as a non-retail bank, does not provide credit to private individuals. It also confirmed that Dexia Israel Limited has a role in servicing loans from the Government of Israel to settlements. G4S confirmed its intention to exit its contracts with the customers in question and further confirmed that such contracts expire from 2012 to 2015. G4S also provided an overview of its progress in putting its human rights policies and practices in place, which it expects to do in 2013. Cemex confirmed that it understands that Israel is the Occupying Power in Palestine, and clarified that its plants in Mishor Adumim, Mevoh Horon and Atarot produce exclusively concrete, not other construction materials. Cemex asserted that the Yatir quarry is not an Israeli settlement, but referred in this connection to a decision of the Israeli High Court of Justice that characterized the matter as a political rather than a legal issue. While Cemex also referred to the Occupying Power’s duty, under article 55 of the Hague Convention (1907), to safeguard the capital of the occupied State, the Special Rapporteur recalls that the profits from the quarry go to Cemex, which holds 50 per cent ownership, and Kfar Giladi Quarries. Still, the Special Rapporteur was encouraged to be informed that Cemex, in response to his report, is “considering the possibility of executing a new internal audit on the Cemex Israel [sic] concrete plants in order to check the present compliance with the UN Global Compact Group principles.” 54. International attention is increasingly drawn to the activities of Israeli and international business enterprises involved in profit-making in occupied Palestine. The Human Rights Council’s fact-finding mission to investigate Israeli settlements denoted a range of potential violations that stem from such activities. The fact-finding mission concluded that “private entities have enabled, facilitated and profited from the construction and growth of the settlements, either directly or indirectly”. The mission recommended that “[p]rivate companies must assess the human rights impact of their activities and take all necessary steps – including by terminating their business interests in the settlements – to ensure they are not adversely impacting the human rights of the Palestinian people. The mission further recommended that the Human Rights Council’s Working Group on Business and Human Rights be seized of the matter. 55. The case for action against businesses profiting from the Israeli occupation has been strengthened by recent reports from a wide range of actors. The report Trading Away Peace: How Europe helps sustain illegal Israeli settlements, by 22 major international human rights and humanitarian organizations, made explicit links between the settlements, businesses and Israel’s critical trade with Europe. A leading Palestinian human rights organization, Al-Haq, reported on the responsibility of EU Members States for the huge settlement produce industry. Palestinian farming and civil society organizations collectively reported on the extent to which international trade with Israeli agricultural companies is destroying Palestinian agriculture. A confidential report by the EU heads of mission to Jerusalem contained recommendations to ensure that European consumers are not mis-led into purchasing settlement products that are labelled as originating from Israel. The EU report also called for EU citizens and companies to be informed of the financial and legal risks involved in purchasing property or providing services in Israeli settlements. Against this backdrop, according to media reports, the EU’s High Representative for Foreign Affairs and Security Policy, Ms Catherine Ashton, wrote to EU Ministers for Foreign Affairs calling for enhanced efforts by Member States to fully and effectively enforce EU labelling legislation vis-à-vis Israel. It is in this context of increasing awareness that the Special Rapporteur will continue to report on businesses that profit from Israel’s prolonged occupation of Palestine. VI. Recommendations 56. The International Committee of the Red Cross or a commission of inquiry composed of relevant international law experts should convene to examine issues particular to prolonged occupation and move toward a convention to address such occupations. 57. Israel must allow Palestinians to make use of their maritime area, up to 20 nautical miles in line with its commitments under the Oslo Agreements. 58. Israel should lift its illegal blockade of Gaza and clearly demarcate ARAs. ARAs can only be established in line with applicable international legal standards and commitments undertaken by the State of Israel. 59. The international community, with Israel’s full cooperation, should finance the construction of a major desalination facility in Gaza; install solar networks for heat and electricity; and urgently improve sewage treatment to avoid further polluting of the Mediterranean Sea. 60. The international community, with Israel’s full cooperation and in direct consultation with farmers in Gaza, should support a shift in agricultural production in Gaza to less water-intensive crops, including by facilitating improved access to seeds; should support the improvement of irrigation networks; and should ensure that farmers can utilise their farmland. 61. The international community, with Israel’s full cooperation, should create a private patients’ fund that could be drawn upon to support medical treatment outside of Gaza as needed. 62. The international community should establish a commission of enquiry into the situation of Palestinians detained or imprisoned by Israel. This enquiry should have a broad mandate, to examine Israel’s track record of impunity for prison officials and others who interrogate Palestinians. 63. The international community should investigate the activities of businesses that profit from Israel’s settlements, and take appropriate action to end any activities in occupied Palestine and ensure appropriate reparation for affected Palestinians. 64. The Office of the High Commissioner for Human Rights, with the support of the Human Rights Council, should establish a mechanism to support Special Rapporteurs who are subject to defamatory attacks, especially those that divert attention from the substantive human rights concerns relevant to their respective mandates. For the relevant criteria against which it must be judged, see http://csonet.org/?menu=30. See Israeli assessment of Pillar of Defense in Shlomo Brom, ed., “Introduction,” The Aftermath of Operation Pillar of Defense, Institute for National Security Studies, Memorandum 124, 2012. The following is the verbatim English text: 1. Agreement of Understanding For a Ceasefire in the Gaza Strip. A. Israel should stop all hostilities in the Gaza Strip land, sea and air including incursions and targeting of individuals. B. All Palestinian factions shall stop all hostilities from the Gaza Strip against Israel including rocket attacks and all attacks along the border. C. Opening the crossings and facilitating the movements of people and transfer of goods and refraining from restricting residents’ free movements and targeting residents in border areas and procedures of implementation shall be dealt with after 24 hours from the start of the ceasefire. D. Other matters as may be requested shall be addressed. 2. Implementation mechanisms: A. Setting up the zero hour for the ceasefire understanding to enter into effect. B. Egypt shall receive assurances from each party that the party commits to what was agreed upon. C. Each party shall commit itself not to perform any acts that would breach this understanding. In case of any observations Egypt as the sponsor of this understanding shall be informed to follow up. State of Israel Ministry of Defense, Coordinator of Government Activities in the Territories, Gaza Crossing – Monthly report March 2013. See B’Tselem: http://www.btselem.org/statistics/detainees_and_prisoners, as well as Addameer: http://www.addameer.org/einside.php?id=9. See the Special Rapporteur’s previous reports (A/HRC/7/17; A/66/358; A/HRC/20/32, and recent reports by the Special Committee on Israeli Practices (A/66/370 and A/67/550). See, for recent examples, A/66/358 and A/67/550. See also Physician’s for Human Rights Israel, Oversight and Transparency in the Israeli Penal System, (July 2008), available at http://www.phr.org.il/uploaded/דוח%20שקיפות%20ובקרה.pdf. See Addammeer, Eight on Hunger Strike: Hunger Strikes are the Weapon of Prisoners in the Fight Against Administrative Detention, 10 March 2013, available at: http://www.addameer.org/etemplate.php?id=584. Feasting on the Occupation: Illegality of Settlement Produce and the Responsibility of EU Member States under International Law, available at http://www.alhaq.org/publications/Feasting-on-the-occupation.pdf. Copy on file with the Special Rapporteur. Whose ‘Two State’ Solution? End game or Intermission? From many sources there is a widespread effort to resume a peace process that has in the past led to failure, frustration, and anger, and often to renewed violence. The newly appointed American Secretary of State, John Kerry, is about to make his fifth trip to Israel since the beginning of 2013, insisting that the two sides try once more to seek peace, and warning if this doesn’t happen very soon, the prospects for an agreed upon solution will be postponed not for just a year or two, but for decades. Kerry says if this current effort does not succeed, he will turn his attention elsewhere, and that the United States will make no further effort. So far, aside from logging the air miles, seems perversely to be responsive to Tel Aviv’s demands for land swaps to allow settlement blocs to be incorporated into Israel and to promote further Palestinian concessions in relation to security arrangements, and totally unresponsive to Ramallah’s demands for some tangible signs from the Israeli government that resumed negotiations will not be another slammed door. In this vein, Kerry’s most ardent recent plea was at the Global Forum, an annual event organized under the auspices of the American Jewish Committee. Kerry told this audience that they possessed the influence to make the peace talks happen. It is from precisely this perspective that Barghouti words should be carefully and respectfully pondered. He calls the two-state solution “the only possible solution” and adds that it “must not be abandoned.” It is a vision of a two-state solution that comes superficially close to what the Israeli peace activist, Uri Avnery, advocates, but seems light years away from the kind of ‘solution’ that Israel might consider or Kerry advocate. In other words, there are two radically different two-state solutions that are often not being carefully distinguished: what might be called ‘the American conception,’ originally detailed in Barack Obama’s May 21, 2011 speech delivered at the U.S. State Department, which at the time of its utterance seemed to look toward Israel’s withdrawal to 1967 borders, with minor border adjusments, but included a general acceptance of Israel’s refusal to implement the Palestinian right of return behind the green line and its expectation that the main settlements would be incorporated into Israel sovereign territory . As so often has happened suring the Obama presidency, what seemed initially forthcoming, was soon altered by backpedaling in a manner that has severely damaged American credibility as a fair-minded third party. The U.S. Government in this instance has gradually come to acquiesce in, even if does not openly avow, these Israel’s unyielding demands, which makes Washington approach to the idea of two states for two peoples radically different than the Barghouti/Avnery conception of Palestinian statehood and self-determination. This latter conception is premised on the establishment of a genuinely sovereign and independent Palestine with East Jerusalem as its capital, and a genuine equality of the two states on matters bearing on security, resources, and refugee identity. There are, to be sure, important differences between Barghouti and Avnery with respect to the right of return, with Avnery opting for a more territorial view of the conflict consistent with the more moderate and humane Zionist views about limiting rights of Palestinian refugees and of the second-class status of the Palestinian minority living in Israel, but still rather far from the Barghouti position on these crucial matters so often ignored by the Western media. In pondering this dismal landscape of peace talk without peace, one wonders what became of ‘the roadmap’ and ‘the Quartet.’ It may be a small blessing that their irrelevance is being tacitly acknowledged. These creations never seemed more than a thin and deceitful veil thrown over a one sided American control over Israel/Palestine diplomacy. [For compelling documentation see Rashid Khalidi’s Broker of Deceit (2013)] In this sense the boldness of Kerry’s statecraft and Barghouti’s implicit recognition that the peace ball is in America’s court at least moves in the direction of ‘eyes wide open.’ For Kerry this means another set of grand gestures, for Netanyahu it means remaining immobile in the comfort zone created by the Palestinian shift away from the tactics of violent resistance, for Barghouti it means a call for resistance, a plea for more solidarity, and a kind of longing for an Israeli, or even an American, France’s DeGaulle or South Africa’s De Klerk who bothdramatically ruptured prior expectations by replacing confrontation with accommodation. Until something as drastic as this occurs, although not necessarily the work of a charismatic counter-hero, we need at least to have the honesty to admit that the end of the tunnel is dark except for occasional flickers of light. I discern such a flicker in the undertakings of those engaged in a legitimacy war against Israel, step by step gaining the high moral and legal ground, which may soon uncover political tipping points that will abruptly alter the relations of forces in support of Palestinian justice claims. The Palestinian Legitimacy War combines Palestinian resistance with a global solidarity campaign that is being waged on a global battlefield.